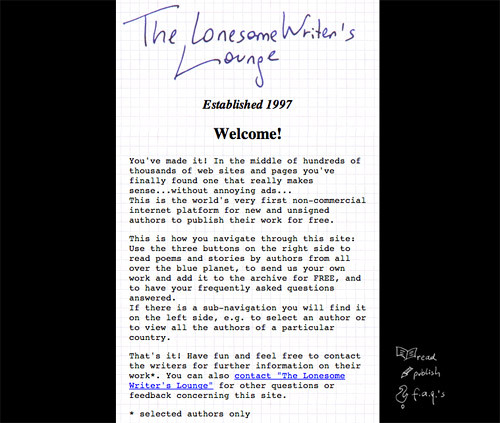 This website was established in 1997 under the name "Lonesome Writer's Lounge". 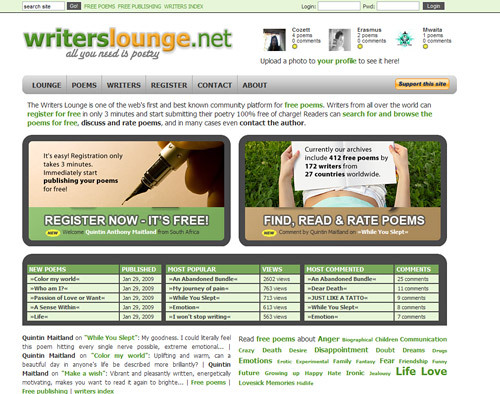 It always has been and still is a free and open platform for writers from all over the world to present their work to an international english-speaking audience. 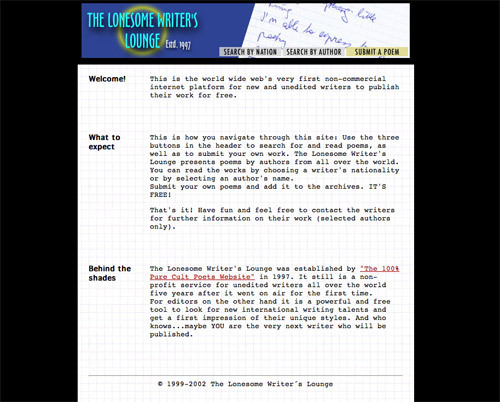 Looking back on the website's history of more than 22 years, WritersLounge.net has been a small but true pioneer venture, one of the first websites offering user generated content only in a community-like online environment, long before "social media" even existed. 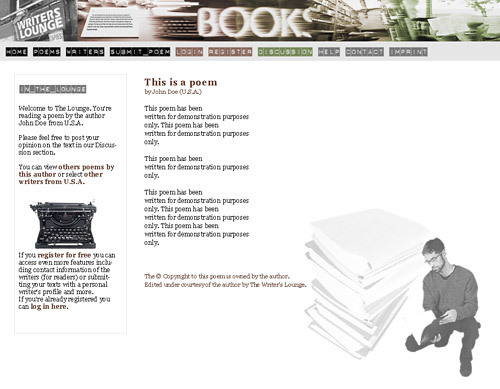 We are proud that after such a long time your poetry still matters to even more people than ever before, it definitely will always matter to us. 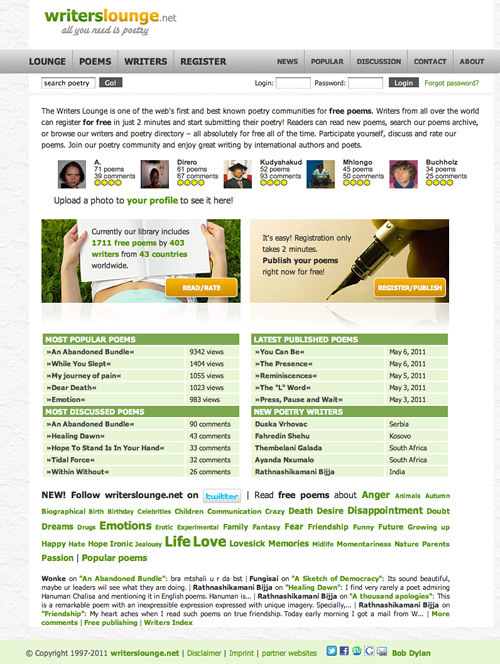 Thanks for your great work and for supporting our free project! Please consider donating. 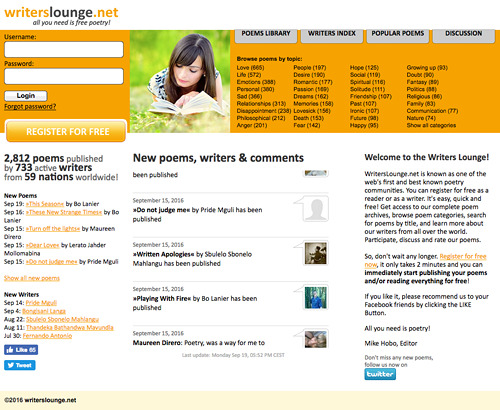 This website has been created by people who love poetry to support and encourage writers in getting an international audience. It always has been and still is a 100% free service. 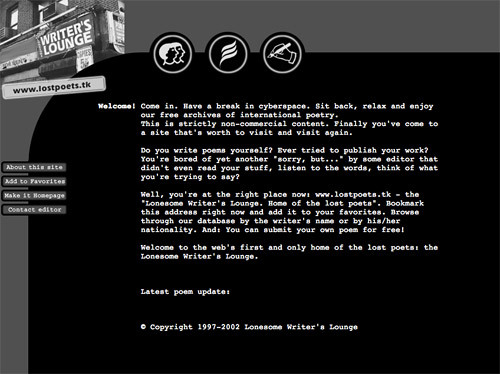 Please support our project by donating any amount you can afford to keep our server and services online. Thanks!